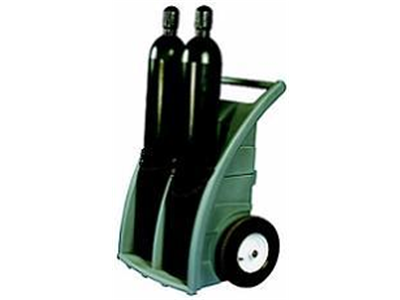 Single / double cylinder trolley with easy roll heavy duty wheel. Safety chain in heavy duty steel. 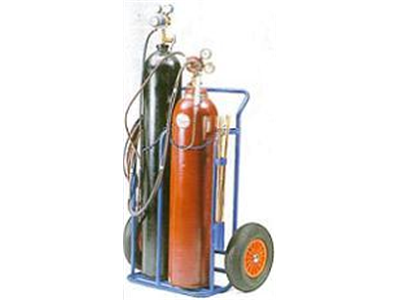 For convenient use of 1 oxygen cylinder and 1 acetylene cylinder with rods and cable holders. Steel link retaining chains fitted. Wheels: 400mm dia. 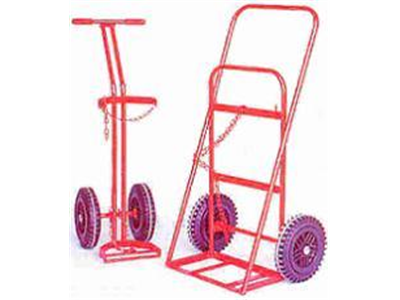 pneumatic or solid rubber tyred wheels with roller bearings. 1 x ø300mm OR 2 x ø300mm cylinder capacities. 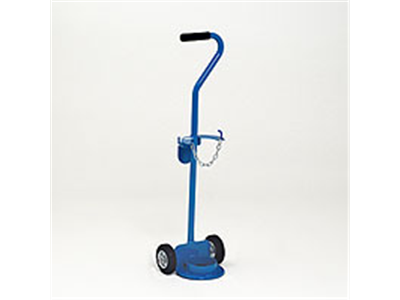 Pneumatic wheel option for external use or rough terrain. Counterbalance design ensures minimal force is required for use. 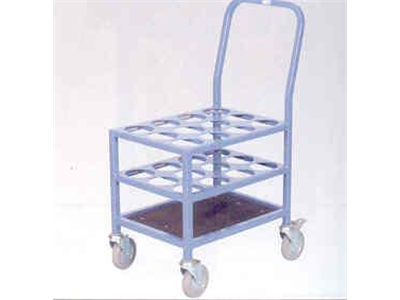 Light duty trolley for home care use. to hold the ‘AF’ gas culinders distributed by chemists. The cylinder is held securely in place by the recessed base plate, and a captive chain.